These are Lorenzo Micheli and Matteo Mela, better known as SoloDuo. They are standing in front of the Concertgebouw, the afternoon before their concert. We invited SoloDuo to perform in our series Meesters op de Gitaar which we have been organizing now for more 20 years. Lorenzo and Matteo seemed very relaxed about their concert and even dropped by in my workshop to try my guitars. Their concert was one of the best guitar concerts I have ever heard. I didn’t believe it to be possible but their version of van Beethoven’s Pathetique was fantastic. SoloDuo after a stunning performance for a sold out Concertgebouw. 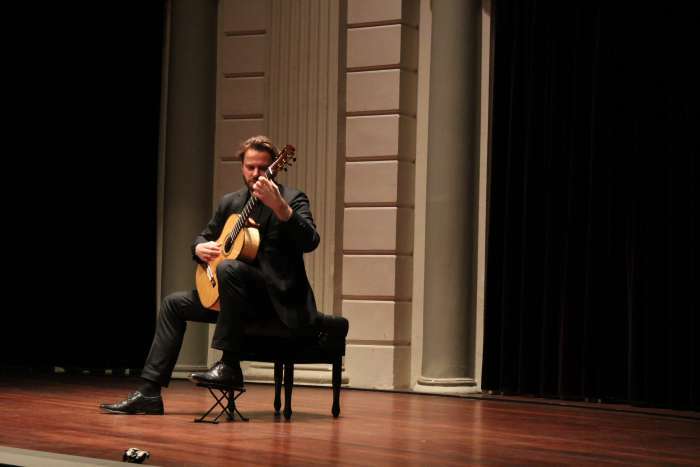 This is Roberto Aussel during his concert in our series at the Concertgebouw in Amsterdam. He played a wonderful concert in a full house. It had been a long time since his last solo concert in this beautiful hall and he was looking forward to it as much as the audience was. This is Roberto Aussel, back stage, after his concert. The person on the left is Christiaan Beijer. Roberto en Christiaan were happy to meet again after such a long time. Back in the eighties guitar afficionado Christiaan Beijer started the Gitaristen Kollektief . He used to organize guitar festivals and concerts and of course, invited Roberto Aussel among many other guitar players. Those who would like to see more pictures of our series, they can be found on Flickr. These are Susana Opanski, Costas Cotsiolis and students of Susana in the dressing room of Costas after his concert in our series Meesters op de Gitaar. Susana and her students are loyal visitors to the series. Susana Opanski is convinced that music connects people and that playing an instrument plays an important role in the personal development of children and young people. For more than 20 years Susana Opanski is working as a guitar teacher at the Music School in Amersfoort. Besides that she develops educational projects to bring children into contact with music. In addition to being a guitarist, bassoonist and guitar teacher, Susana Opanski is also the founding conductor a of the Student Gitaar Ensemble Nederland (SGEN). Last year the ensemble released a CD thanks to a successful crowdfunding campaign. Significant donors were rewarded with a visit to my workshop. On May 25, the ensemble can be heard at the Vondelkerk in Amsterdam. Our concert series continues in September. Subscriptions for sale. 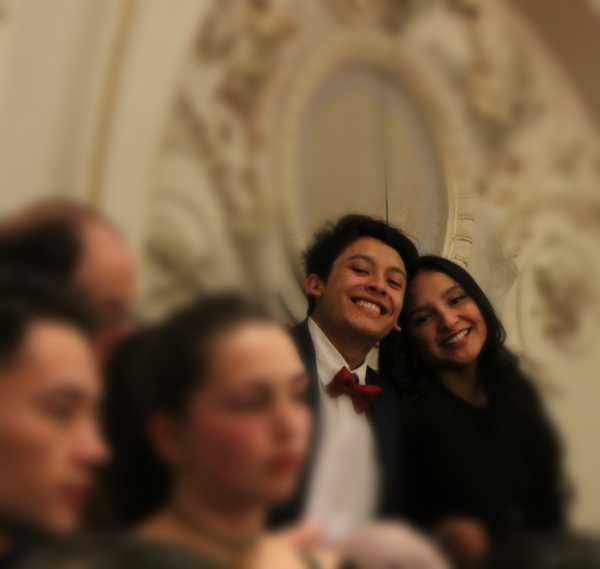 These are Krisna and Prawira Pijloo after having performed Manuel de Falla’s La Vida Breve in Concertgebouw Amsterdam. Both Krisna and Prawira play the guitar from an early age and both want to become professional guitarists. We invited them to play one piece before Rafael’s concert, to get a taste of the real thing. In the video below you can see them getting prepared, at home as well as right before the concert. I know Krisna and Prawira since 2013 as you can see in the other video, recorded when they visited the workshop with their parents. 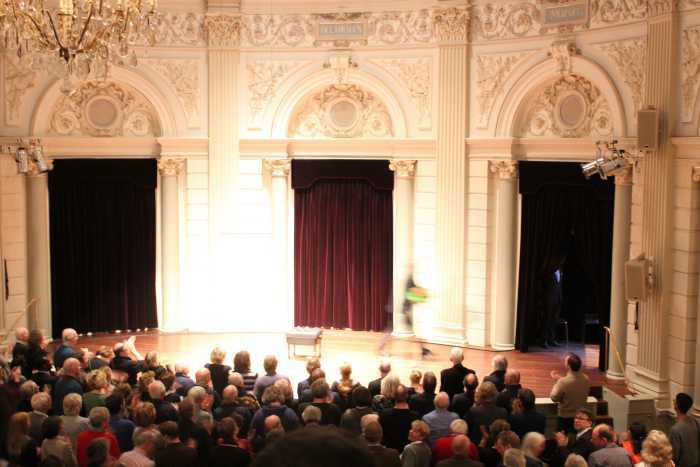 This is the Spanish guitarist Rafael Aguirre, taking applause after his debut in het Concertgebouw van Amsterdam. Rafael played a beautiful concert in a full house. Our series Meesters op de Gitaar consists of three concerts each year and is getting more and more attention. That is good news for the ones who missed the concert. Rafael can be watched and listen to via Opium op 4 and Podium Witteman. There were also pictures taken from the concert. This is Marcin Dylla, checking the acoustics of the hall of het Concertgebouw in Amsterdam. Marcin is a busy guy. If not traveling the world playing concerts, he works at the guitar faculty of the San Francisco Conservatory of Music, as an Artist in Residence. Before he came to Amsterdam he was in Poland where he had just met his newly born. We invited Marcin Dylla to come and play in our series Meesters op de Gitaar. In an almost full house he gave an very impressive, beautiful concert. The audience loved it.